Rest assured, pet parents, because daycare won’t break your dog’s house training! 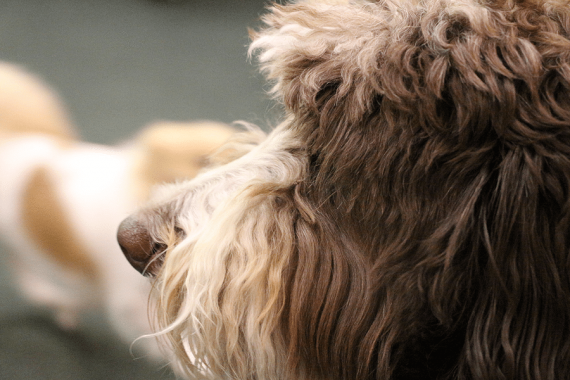 Our Dogtopia Mississauga daycares have been designed to imitate dog parks that your pet won’t know the difference. They don’t associate indoors with outdoors, but rather the smell of their environment that helps them feel like they’re outdoors and ready to do their business. You might’ve noticed that if you stay still and quiet in a game of hide and seek with your dog, your dog won’t always know where you are. His nose is at the ground, sniffing his way around to find you even in a crowd of humans. It’s part of what is called their ‘prey drive’. Your dog could see a squirrel on the other side of the glass door and not want to chase it, but the moment they’re within sniffing distance, that nose won’t stop twitching. 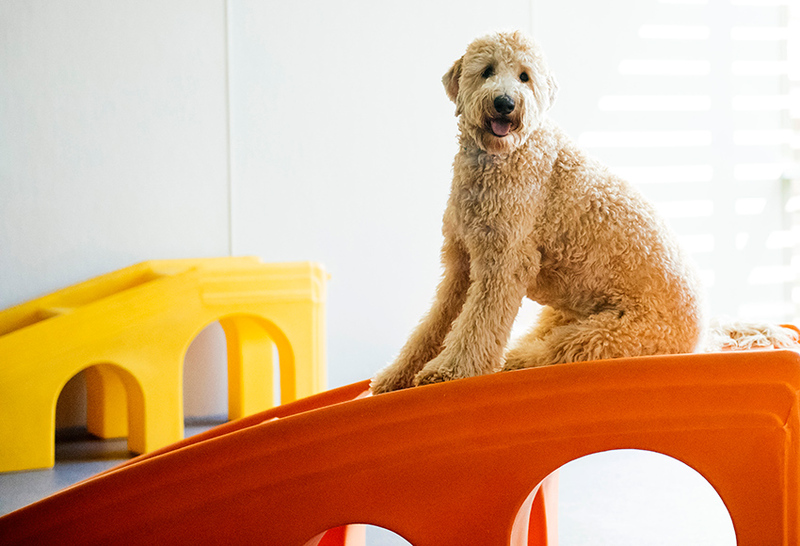 At Dogtopia Mississauga, we designed our playrooms with compressed rubber flooring that’s easier on their joints. It won’t feel like an indoor floor so they can run around without sliding and crashing into each other. Dogs use their noses more than their other instincts, just like when you hold a piece of their treat without them watching and they just know you have it hiding behind your back. If it’s not because of the indoor/outdoor problem, then why does my dog keep doing their business inside the house? If your dog has an accident, you can bleach it or use as much cleaning products as you want on the spot to clean it out, but it doesn’t get rid of the problem. There are pheromones in a dog’s urine and stool that stick to the spot they did their business on. Picking and wiping up doesn’t take out the smell, which encourages them to do repeat the behaviour and mark their territory. 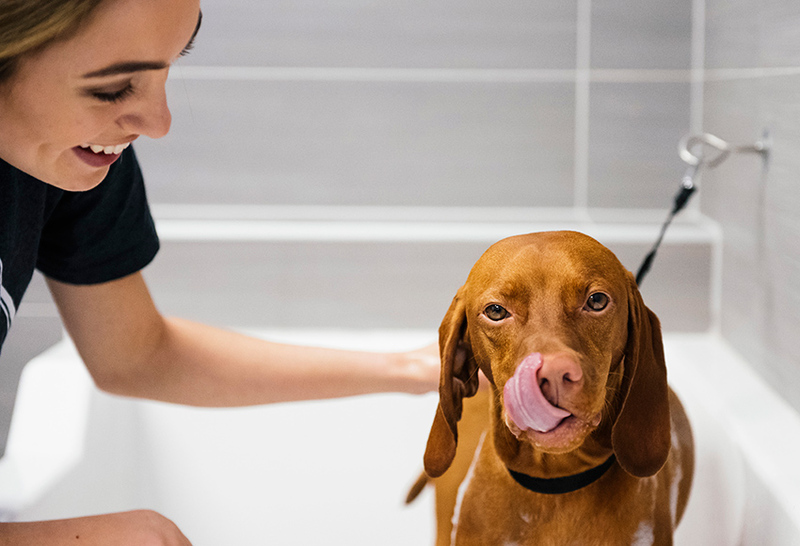 We recommend pheromone-removing sprays to make sure that when you clean up, the smell goes away and the dog can’t find it as the go-to spot to do their business. 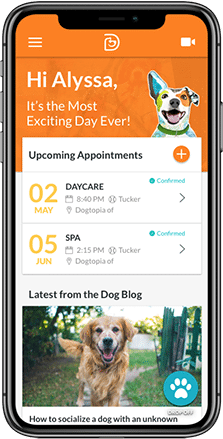 At Dogtopia Mississauga, our daycares won’t break your house training because the material doesn’t absorb like cement or any other kind of outdoor surface. 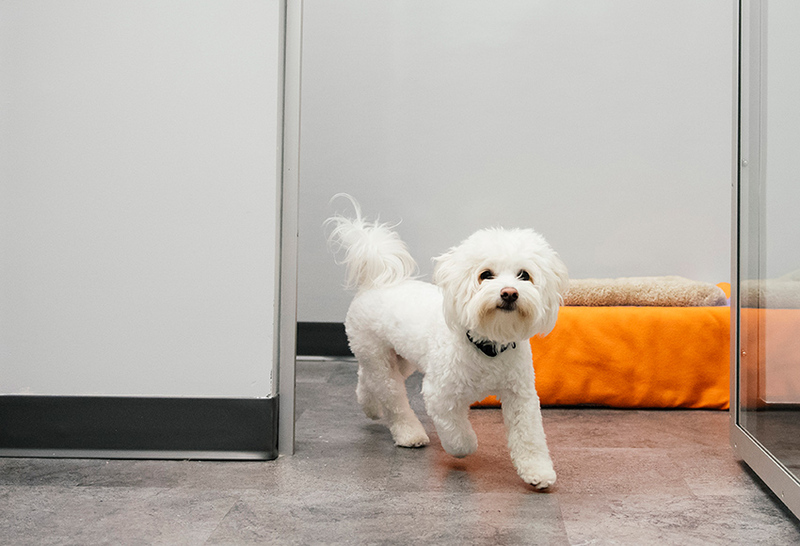 That way, our playroom attendants can clean the floor after your dog’s done their business and still maintain the smell of the great outdoors.